New Brunswick, N.J. – November is Lung Cancer Awareness Month and in the United States, lung cancer remains the leading cause of cancer death among both men and women. The primary reason for high death rates for lung cancer is the fact that this disease is typically detected in very late stages, when treatment is often of little use. In 2011, the National Lung Cancer Screening Trial demonstrated that high-risk smokers who received a low-dose computed tomography scan for lung cancer screening had a 20 percent reduction in death from lung cancer and a seven percent reduction in all-cause death. Patients from Rutgers Cancer Institute of New Jersey – one of 33 study sites – were included as part of the effort, which enrolled participants between 2002 and 2003. Although the scientific evidence is promising, lung cancer screening remains underutilized, with as few as four percent of eligible people getting screened. Those who are at higher risk of getting lung cancer include people between 55 and 80 years of age who have smoked the equivalent of one pack a day for 30 years, and those who are a current smoker or have quit within the last 15 years. If lung cancer screening was utilized by these priority populations, it would not only identify cancers in earlier stages but could substantially improve five-year survival rates from less than five percent to more than 56 percent. The State of New Jersey, in cooperation with Rutgers Cancer Institute and partners throughout the state, have collaborated on a project called ScreenNJ. ScreenNJ’s goal is to reduce cancer death in New Jersey by increasing rates of cancer screening and early detection, starting with two of the most common and deadly cancers - colon and lung cancer. Over the past year, ScreenNJ has focused on Burlington, Camden, Ocean, and Essex Counties where rates of tobacco use and lung cancer are especially high. In subsequent years, ScreenNJ will be expanding these efforts across the state. 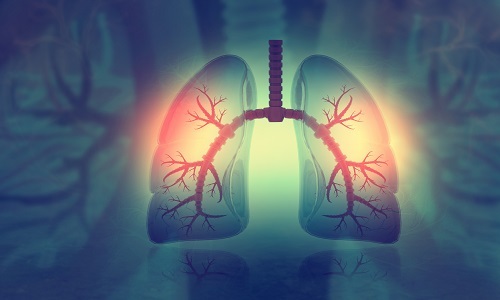 The principle strategies of the program are to identify and reinforce lung cancer screening programs by establishing the best practices for tobacco cessation, increase lung cancer screening utilization, and improve awareness and referral rates for lung cancer screening among primary care providers. Lastly, the program aims to educate providers, as well as the general public about the benefits of lung cancer screening and tobacco cessation, and where people can find resources in their communities. Lung cancer screening is often covered through Medicare/Medicaid, and through most private insurance plans.